With popular Bollywood celebs making their way at the Mumbai airport on Saturday, September 16 morning, the airport seemed to be one busy place this weekend. 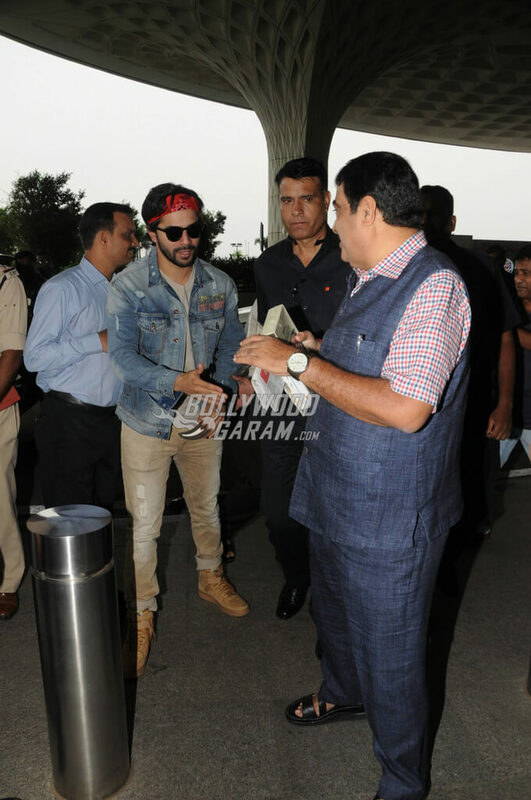 While Varun Dhawan was seen wearing a grey tee, beige jeans and a denim jacket in a casual look teamed up with a red bandana, sporty shoes and black glares; Arjun Kapoor looked dapper in a blue shirt, black pants and black formal shoes interacting with the media at the airport. Varun met Minister Nitin Gadkari and greeted him at the airport. Both smiled and shook hands with each other as their chance meeting was clicked by the paparazzi. The Badlapur actor is currently awaiting the release of Judwaa remake, Judwaa 2 where he will be seen in a double role along with co-stars Taapsee Pannu and Jacqueline Fernandez. Ayushmann Khurana too likes to keep it casual on his travel schedules as he was seen wearing a cool, printed black t-shirt, navy blue denims, red sneakers and a white jacket along with his sporty black watch, a black cap and stylish glares. He smiled and posed for the shutterbugs as he walked towards the entrance of the airport. Sunny Leone who is currently busy with her shooting for her upcoming film, Tera Intezaar with actor-director Arbaaz Khan was spotted with her husband, Daniel Weber and their recently adopted daughter, Nisha. Sunny was seen wearing a white tee, a black small coat, blue denims and dazzling golden sneakers. Husband Daniel looked smart in a grey t-shirt with a net pocket, blue ripped jeans and black and red sneakers. The couple was seen carrying their passport as Nisha looked adorable in a white full-sleeved t-shirt, pink pants and grey sneakers and perched herself up on daddy Daniel’s shoulders. Daniel and Sunny looked jovial and were seen laughing while talking to each other and making their way at the airport. As the new parents Sunny and Daniel embrace parenthood, they also seem to be quite fond of their new family member – Nisha. The airport also welcomed Alia Bhatt and Kriti Sanon walking in style. Alia was spotted with her mother Soni Razdan as she posed for the cameras wearing a graphic black tee with black and white track pants, white sneakers and black glares while carrying a black bag and holding her mother’s hand in an adorable moment while making way at the airport. Kriti Sanon, on the other hand, was seen wearing a long green kaftan top with frontal slit and blue denims, completing the look with a black bag and stylish glares. Kriti looked cheerful as she walked confidently towards the airport entrance. Kriti was last seen in Bareilly Ki Barfi that performed well at the box office. Adah Sharma and Sunil Grover were some other celebrities to be spotted on September 16 morning. 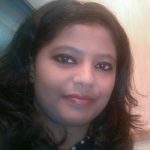 Adah looked pretty in a white tee and a printed navy blue short skirt while comedian Sunil was seen in a white tee, striped shirt, black pants and sneakers, smiling away at the cameras. Exclusive photos of the B’town celebs at the airport!